Lent is a period of fasting leading up to Easter. The season is rooted in the 40-day fast of Jesus in the wilderness. Catholic Lent begins on Ash Wednesday, and ends right before the evening Masses of Holy Thursday, although Lenten penance continues through Holy Saturday. The purpose of Lent is to reflect on the death and resurrection of Christ and allow God to transform our lives. The reason Christians began to “give something up” was to give themselves time to focus on Christ or to allow their hunger to make them hungry for God. 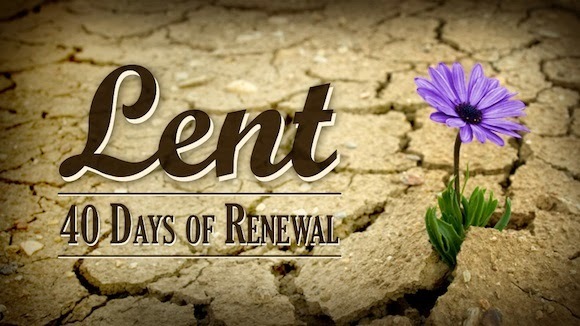 Lent is a season of fasting, self-denial, spiritual growth, conversion, and simplicity. Lent, can be viewed as a spiritual spring cleaning: a time for taking spiritual inventory and then cleaning out those things which hinder our relationship with Jesus Christ and our service to him. • Keep a Lenten journal with your spiritual insights, special intentions, people you want to pray for, hurts and disappointments that you want to offer up, and progress reports on your Lenten resolutions.